Looking for something to do this weekend with family and friends? 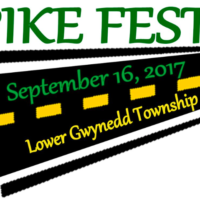 Stelzer Dental would like to wish our Lower Gwynedd Community a fun and successful Pike Fest this weekend. If you didn’t have an opportunity to attend Pike Fest last year, we highly recommend you check it out this Saturday, September 16th. The Lower Gwynedd community will come together as Bethlehem Pike shuts down between Norristown Road and Sheble Lane for this family fun day! Pike Fest is from 10AM-4PM. Learn more about Pike Fest and the vendors that support our community. Stelzer Dental would also like to wish the participants of the First Annual Run The Pike 5K (link) a safe and fun run this Saturday, September 16th at 8AM. Scoogie Events regularly sponsors family fun running events throughout the year. We are proud to be in the Lower Gwynedd community and hope you come out to enjoy and support.